“We are concerned the BLM’s new proposal to bait trap, over long periods of time, will zero-out wild horses in the West. The agency will continue helicopter roundups as well. There is no proof to justify the alleged “excess” amounts of wild horses. Princeton science has proven wild herds heal cattle grazing lands for cattle, so let’s find the win-win and stop wasting tax dollars on irresponsible mustang removals.” ~Anne Novak, Executive Director for Protect Mustangs. Read about the issue and our comment in the Associated Press article here. If you don’t like what’s going on then take action to protect America’s wild horses and burros. Get creative . . . This entry was posted in Uncategorized and tagged ABC, Anne Novak, AP, bait trapping, CBS, CNN, Fox, mustangs, native horses, Protect mustangs, Roundups, SF Gate, wild horses, wildlife by Protect Mustangs. Bookmark the permalink. 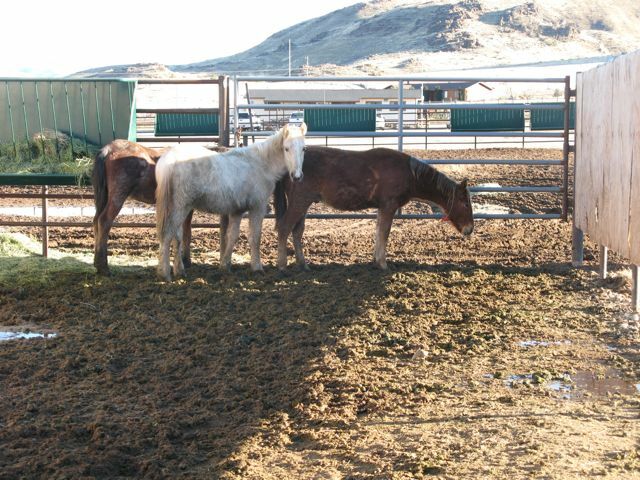 Rounding up these mustangs is job security for BLM employees. I’ve met these guys, and never met one yet that could score 100 on an IQ test. They want the mustangs gone because they want them gone…no more reason than that, and i think they are well-aware that they are completely wiping them out; their “Who? Me?” attitude is just a way to get around the Wild Horse and Burro Protection Act until they can pull off their dirty deed. I live in the wst and driven all over these lands…thousands of miles…its amazing to even see a wild horse at all anymore.